The advanced lightworker is bringing Light and Clarity to all dimensions of our Reality, to bring Heaven on Earth, through mastering our psychic and multi-dimensional reality creation capabilities to Clear and Restore the Light Fields in and surrounding the Earth and Humanity. The lower astral layers of reality which are riddled with yucky, slimy thoughts, entities, soul and mind trapping technologies, are perpetuated by and also perpetuates unconscious living within the false matrix. We open up this space to move deeper into embodiment of these loving-consciousness-based, psychic lightwork techniques, to support you through the New Year with joy, ease and grace. Today we focus on our Source-Created Multi-Dimensional nature: empowering our Self in our embodiment is the number one defence against interference and attacks. It’s only when we are in ignorance of our hidden traumas and our true source connected spirit that fragments and astral attacks can get us. This can be a long process because our subconscious has been living in separation for a long time. In this webinar we acquaint with techniques and higher dimensional light technologies to assist us in our Embodiment. This second webinar focusses on activating the Dream-Weaver within us. 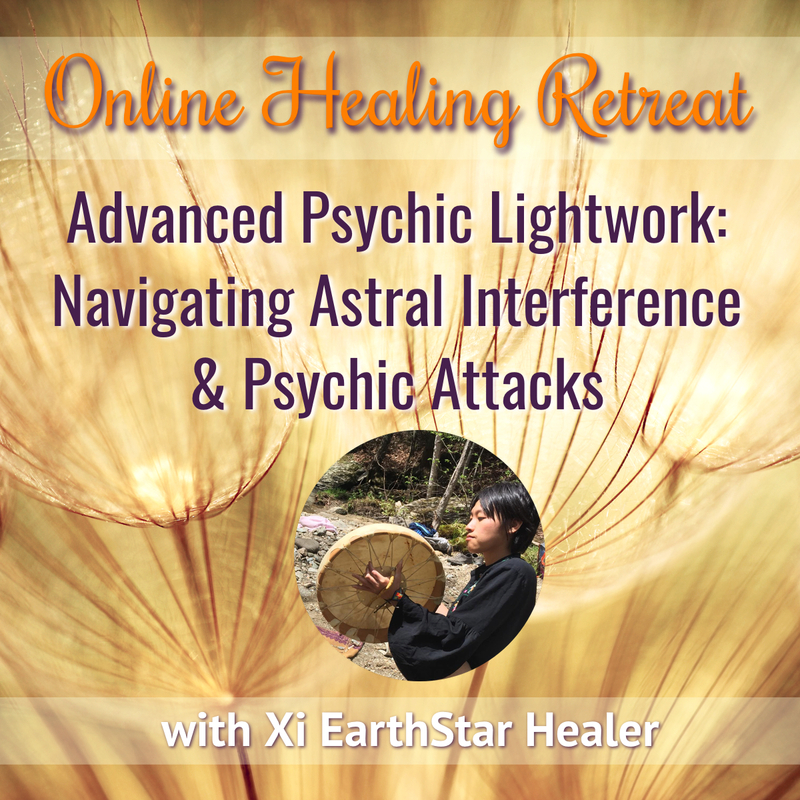 This webinar includes a shamanic quantum healing of our “dream-lines”, retrieving aspects of self which experienced astral abduction, artificial timeline interference, and related. The dream-weaver is the part of ourself in the “sky”, or “dream-time” who watches and weaves the threads of our reality into existence to be experienced by our 3D self. For most people, this aspect of ourself is unconscious and we seem to move through the world as an actor or passive participant of an external force’s movie, susceptible to astral interference and manipulation. When this code is fully activated and embodied, we move through the world as a conscious co-creator, gain the ability to manifest and manipulate energy and vibrational shifts in our environment in Real time, and re-claim our sacred and joyous connection to our dreaming self. On this final day together we integrate the codes by sharing in shamanic medicine space together, supported by ample of oracular song medicine. We connect with our higher dimensional aspects, invite celestial support teams, bask in the delight of activating Source energy. We will perform a clearing and prayer for Humanity and the Earth. Through this ceremony we will experience how to perform this sort of collective grid-work, experience the Source Field, and gain familiarity to continue to traverse these realities your self!